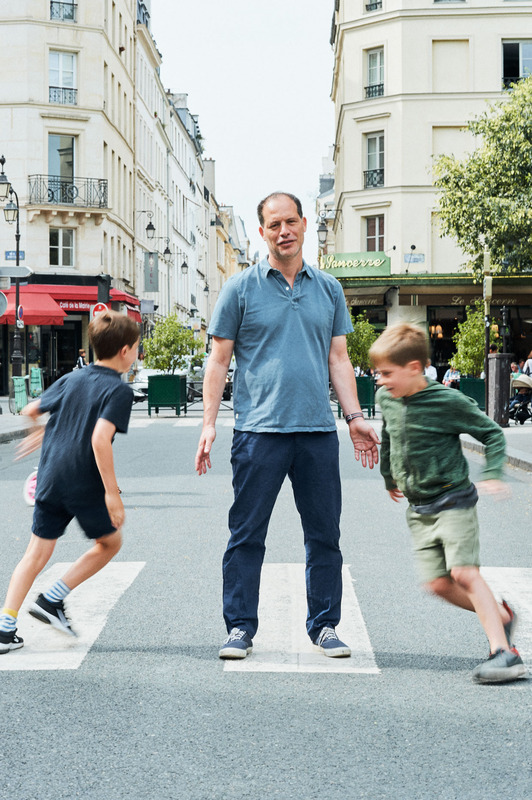 Journalist / columnist Simon Kuper with his kids around, between the third Arrondissement's city hall and the Square du Temple. Paris, France. September 3, 2017.